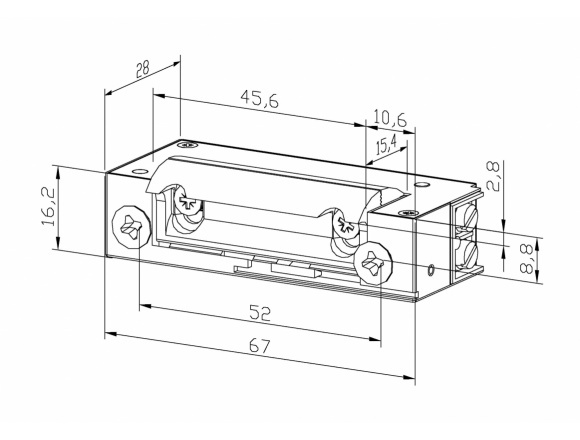 Electric strikes XS-series are narrow (only 16.2 mm width), symmetrical and have a small dimensions enabling mounting in narrow profiles and door frames. They fit perfectly to left and right doors of various types. 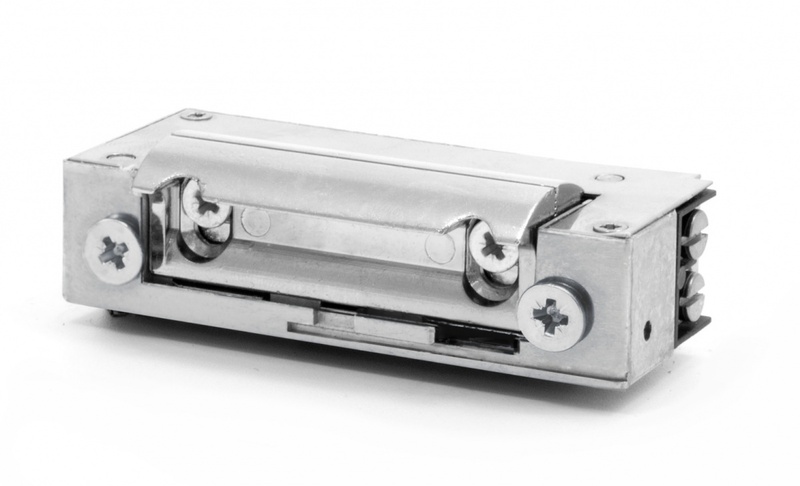 Radius latch (it is not outstanding out of electric strike outline) and adjustment in the range of 3mm requires less punching, which simplifies and accelerate installation. 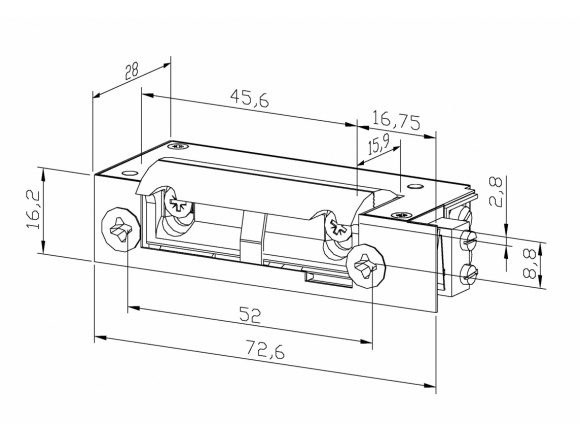 Available also with monitoring (M), special version for doors with lock latch pressing on electric strikes (-B) and with built-in latch guide for non-rebated doors (C). Above models available with door status monitoring (M) and/or varistor (V). 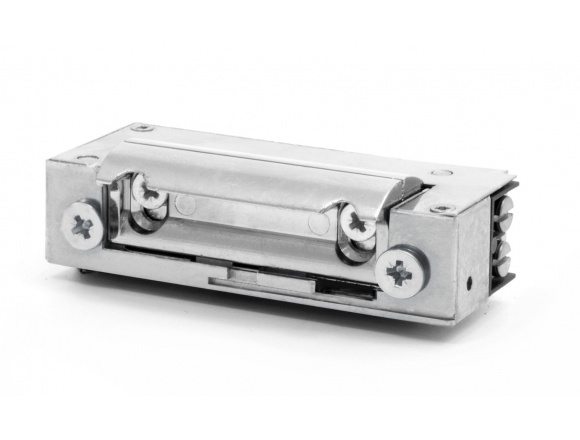 XS-C-series with lock latch guide ensuring smooth sidle of latch bolt eliminates necesity of wide punching for electric strike In door frazes.